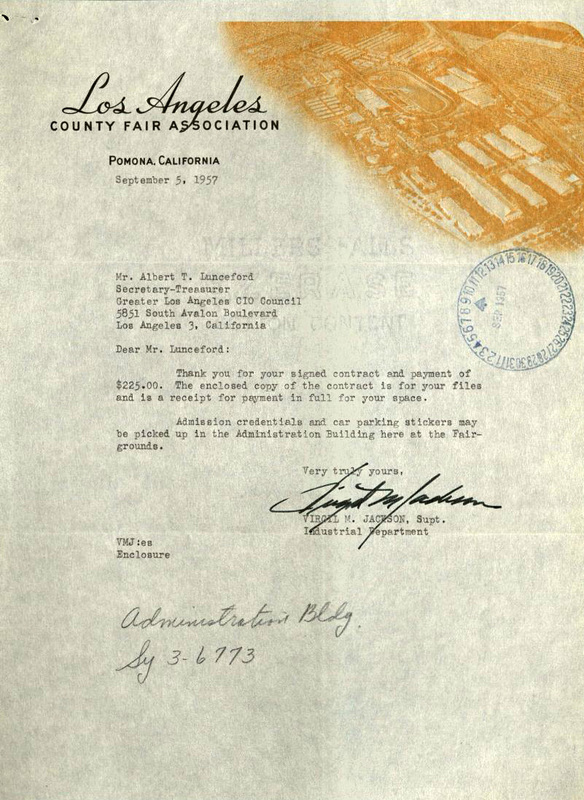 Fairs vary in size, location, and purpose. 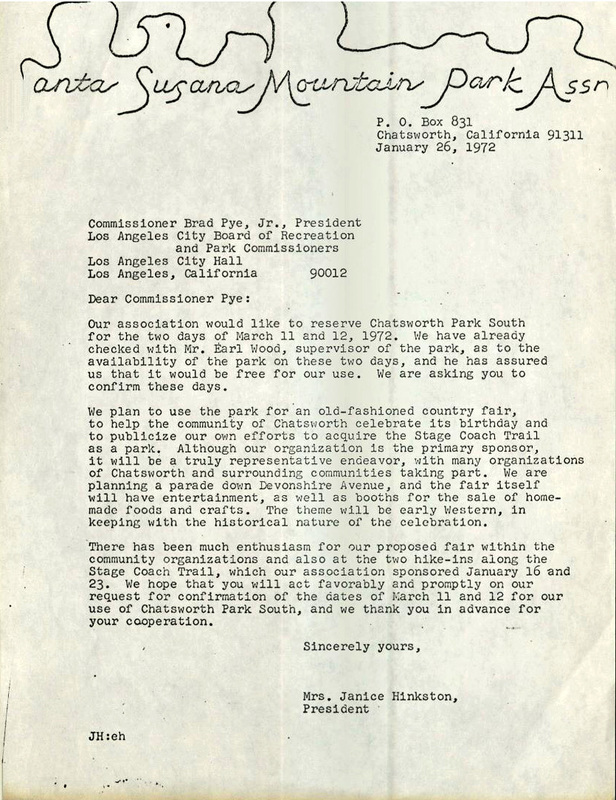 Larger scale fairs, like state fairs, usually last for weeks or months, whereas county and neighborhood fairs typically run for a few days or weeks. Types of fairs vary from agricultural shows to those that are meant to educate local communities about different topics. Fairs vary in size and focus, but are meant to bring people together, be fun, and have an aspect of education, even if it is for self-promotion. 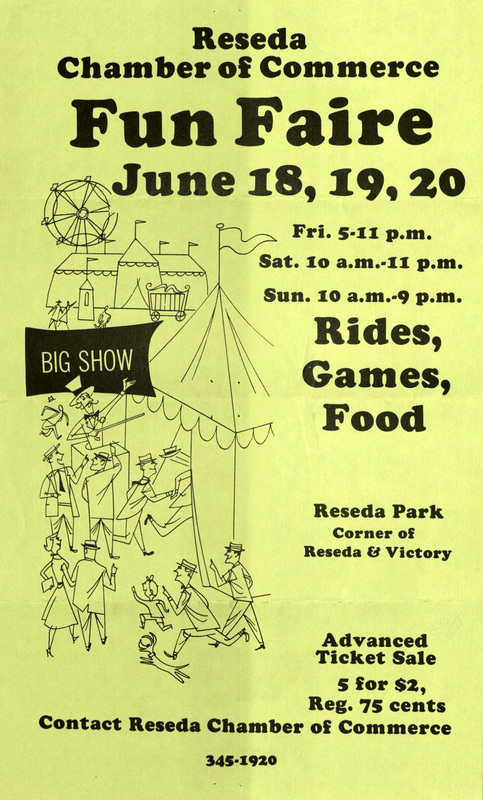 County fairs usually include agricultural displays, exhibitions by local vendors, entertainment, lots of different types of food, and usually have rides and stage shows. 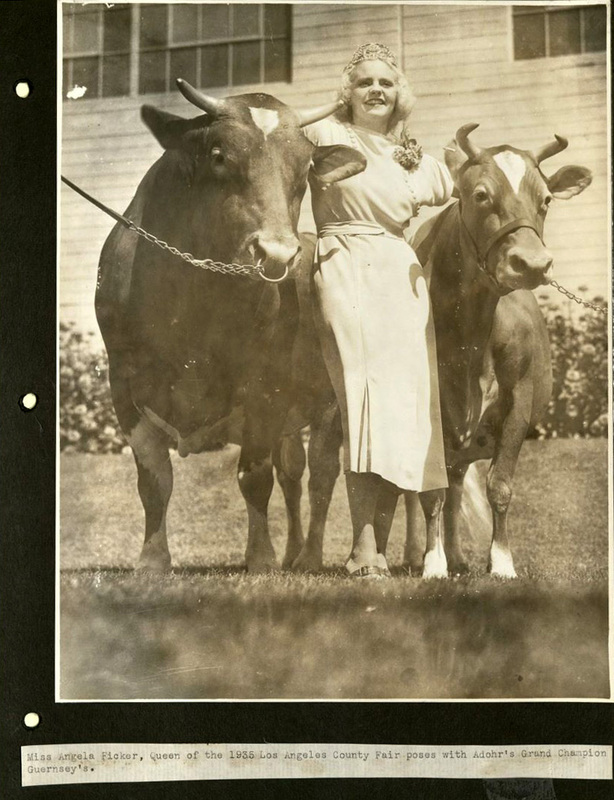 One image from the Adohr Farms Collection shows the Queen of the 1935 Los Angeles County Fair posing with a couple of Guernsey cows. 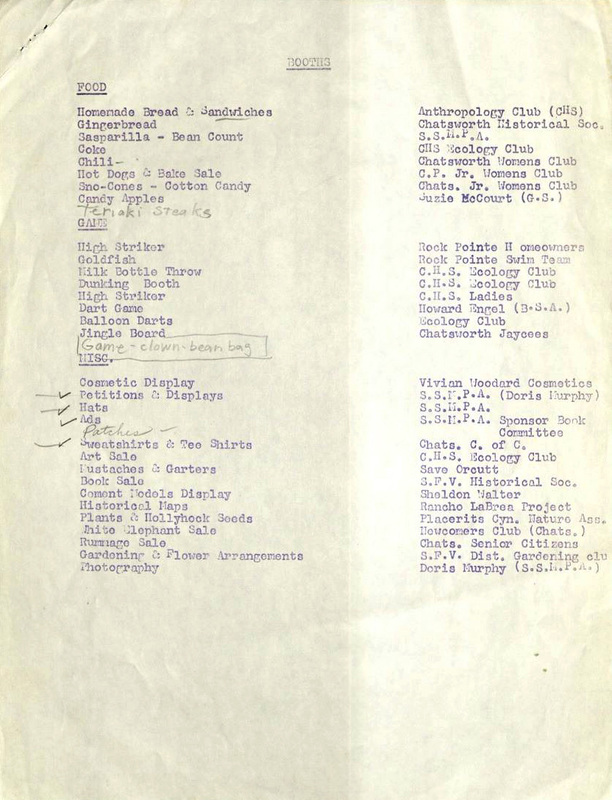 Another aspect of these agricultural fairs are the competitions. 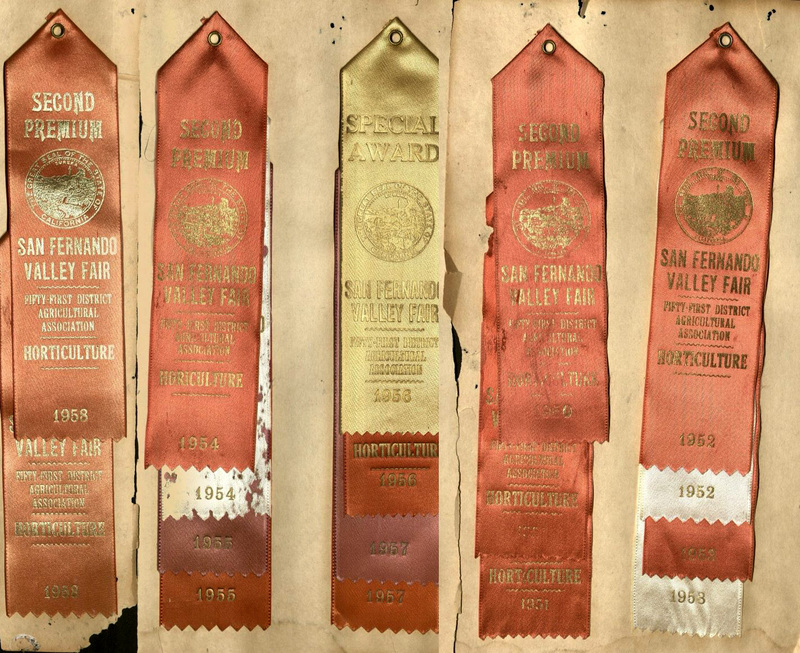 There are many competitions such as pig races, the largest pumpkin, or as in the example in the Joyce Linden San Fernando Valley History Collection, horticulture ribbons won at the San Fernando Valley Fair in the 1950s. 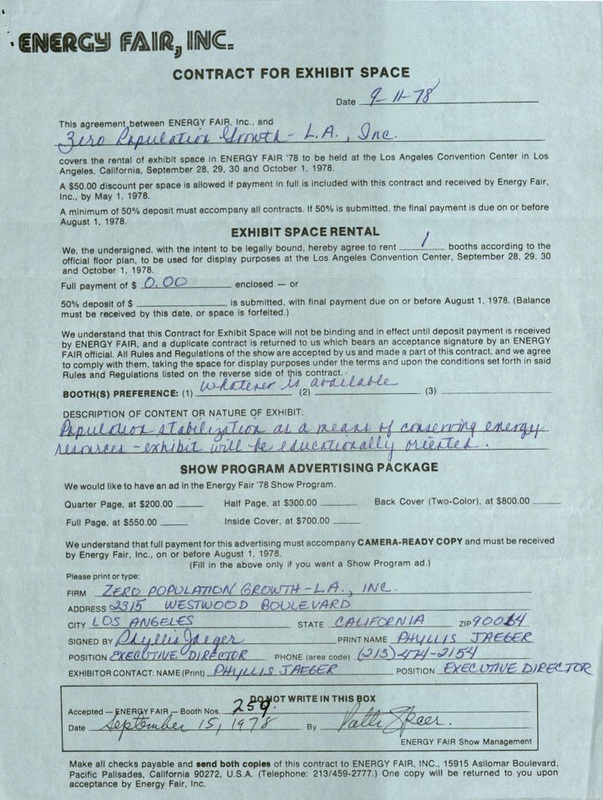 Fairs also take place in other countries. 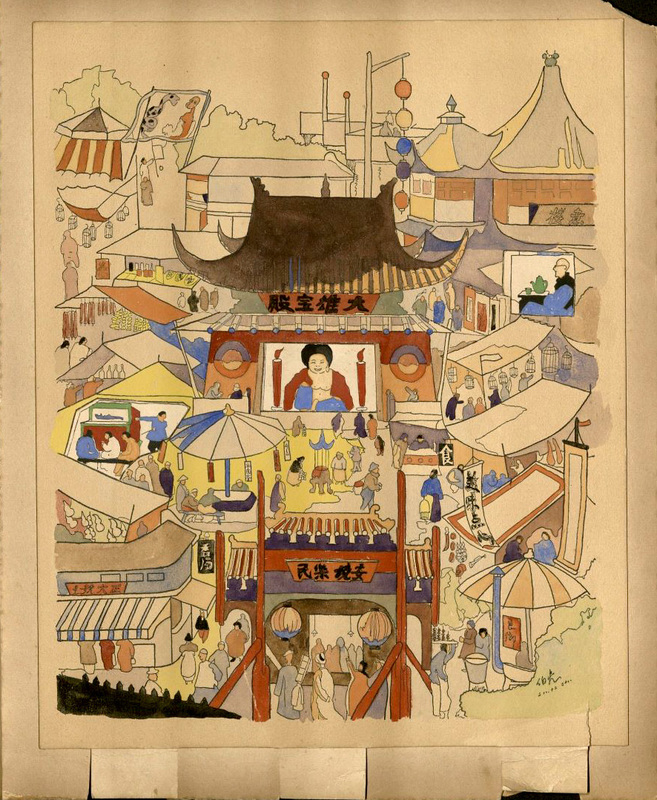 The Erica Reinisch Collection includes a sketch of fairgrounds in Shanghai, China, where a carnival and other attractions were staged. 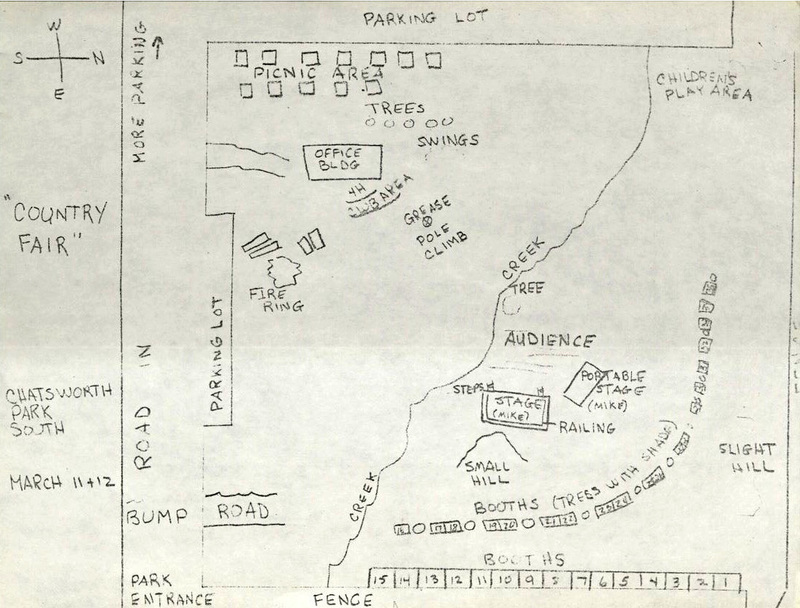 The sketch is vibrantly colored, and has tabs at the bottom that can be pulled out to view different scenes in the booths. 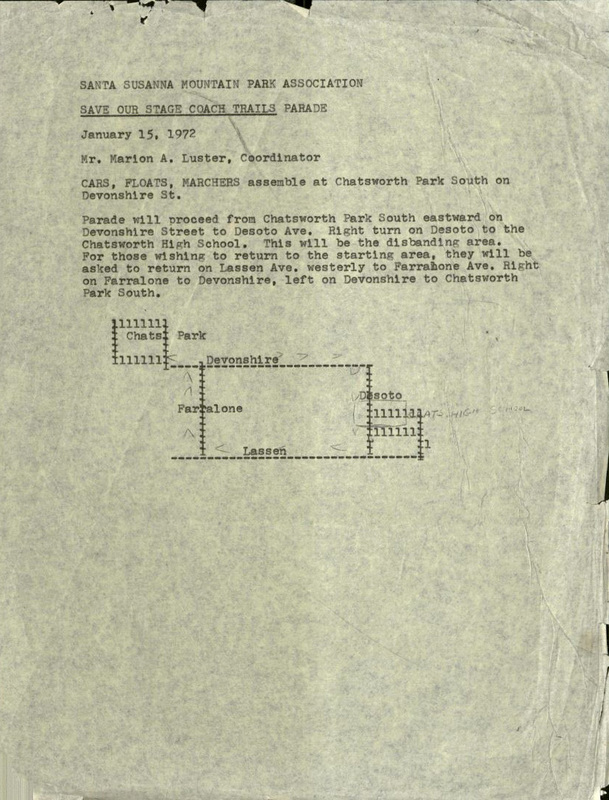 It takes a lot of work to put on a fair, including getting the carnival ready, making sure there’s an animal or farm area, making sure all the vendors and sponsors pay their fees, and sometimes making sure paperwork is filled out to block streets for parades. 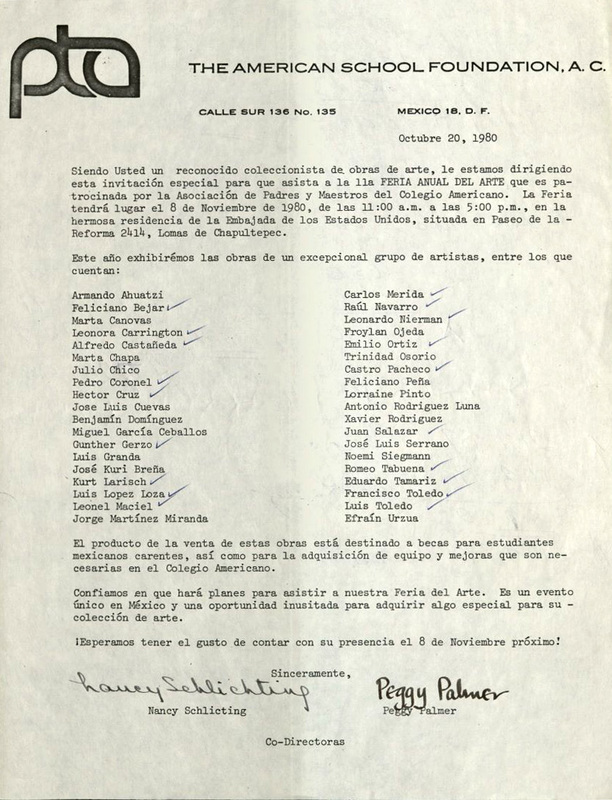 The Arts Fair Committee ultimately used Ambassador Julian Nava’s home garden as can be seen in letters in the Julian Nava Collection. 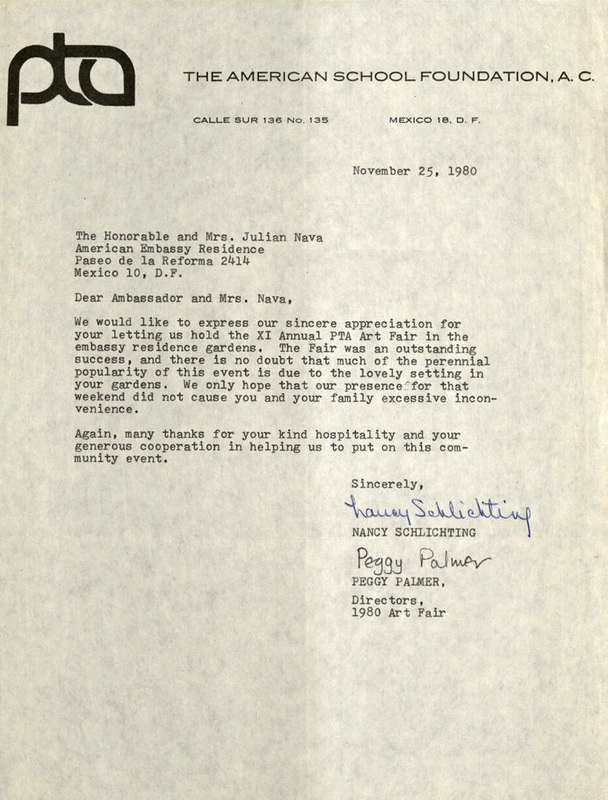 A thank you note shows that the committee was grateful for the Ambassador’s commitment to host the fair, and use of his own home for it. 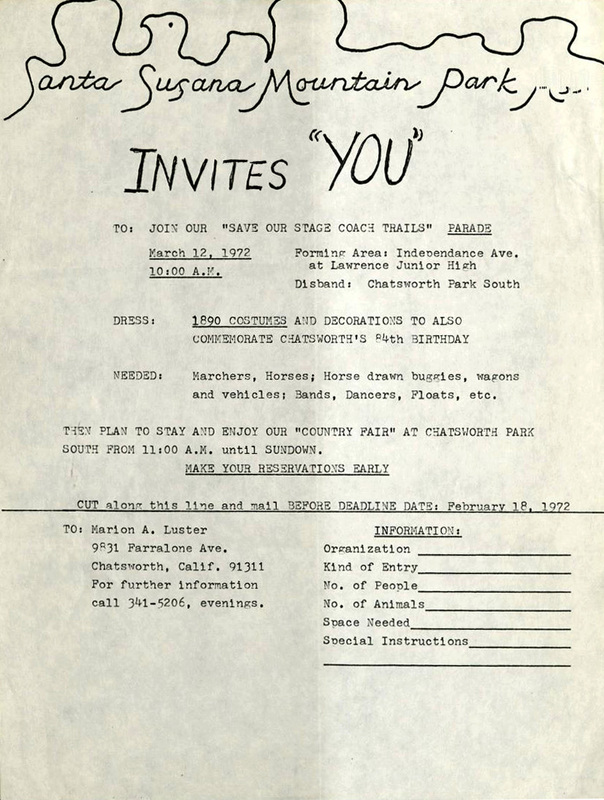 In the Santa Susana Mountain Park Association Collection there is quite a bit of information about some of the hurdles faced by the organizing committee for the Chatsworth Country fair. 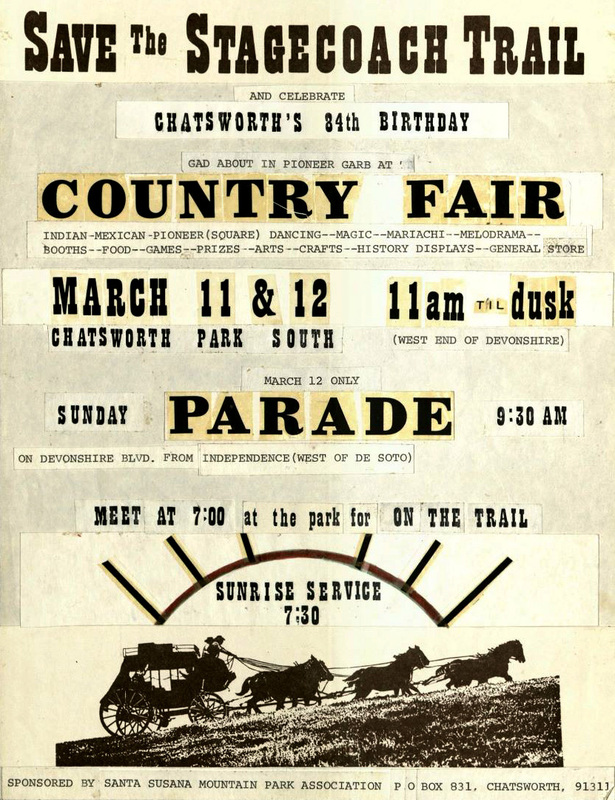 They submitted an application to have a Country Fair and Parade in and around Chatsworth, but had a difficult time setting a date, including being asked to pay for fees after already paying them. 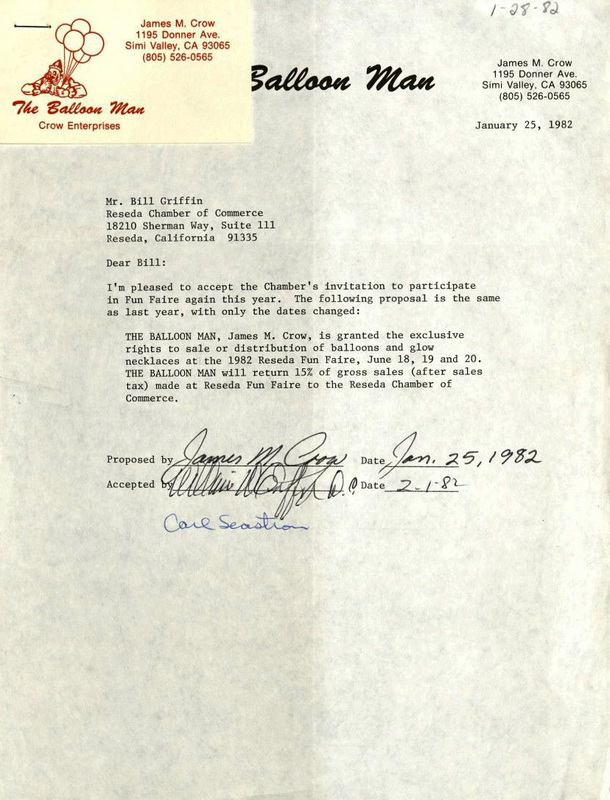 In the Reseda Chamber of Commerce Papers, we see the different documents that had to be compiled and updated to make sure the Fun Faire met expectations, including a letter from The Balloon Man accepting the invitation to participate in Fun Faire. 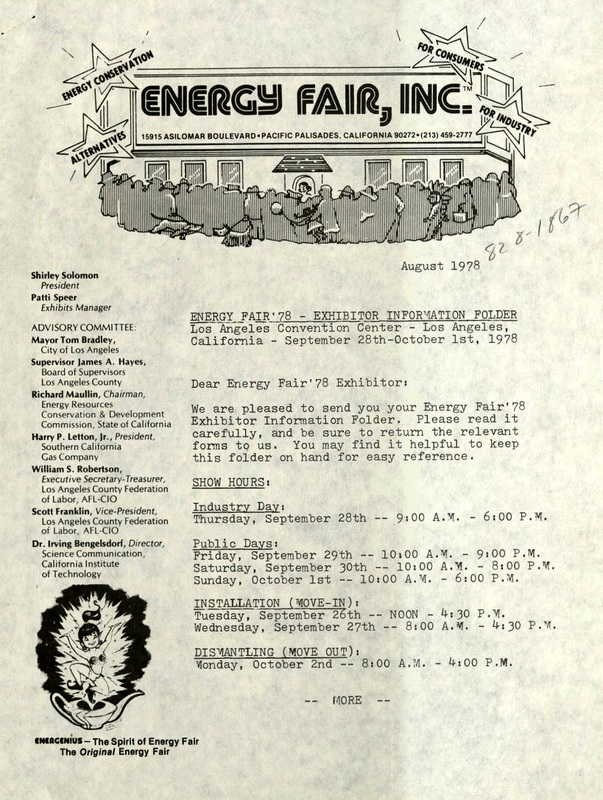 Some smaller scale fairs are considered local community events in which some participants, such as vendors or exhibitors, use the opportunity to promote their groups or conduct public relations activities. 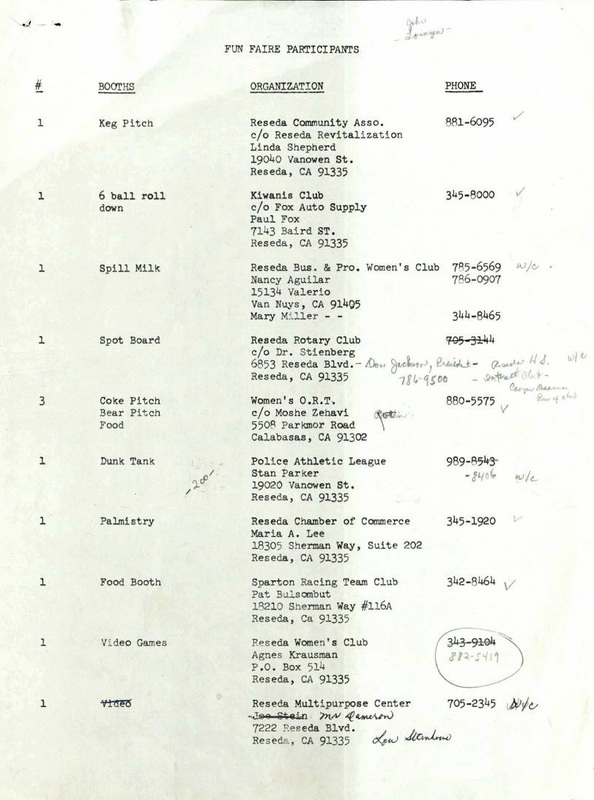 A couple of groups that did this were the Zero Population Growth of Los Angeles, Inc. and some labor unions represented in the Los Angeles County Federation of Labor Collection, including the Greater Los Angeles CIO council. 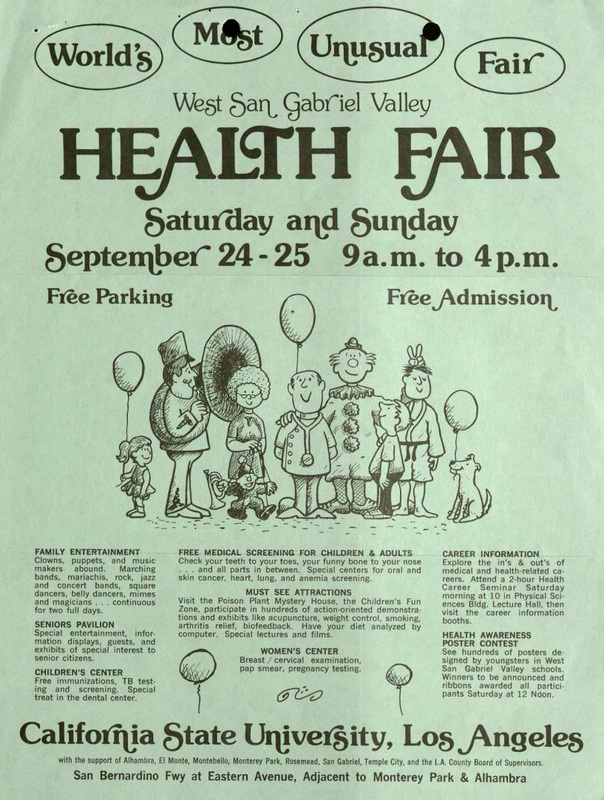 Both these collections contain documentation related to their outreach services at Health Fairs, County Fairs, Energy Fairs, and others. Fairs are known to be an entertaining place for people of all ages to enjoy time with family, friends, and neighbors, and potentially learn something new about the community.